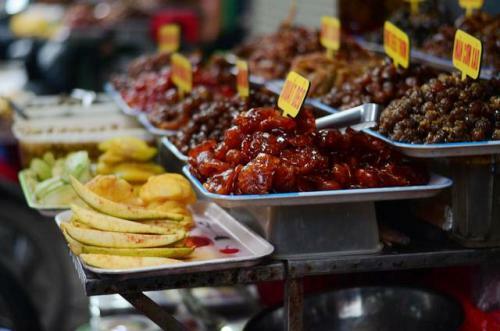 Just in a small street of Hanoi like Ly Quoc Su, tourists are able to enjoy beef noodle soup, pillow- shaped cake, fruit beams, jam, grilled fermented roll and ice tea with lemon. To Hanoi people, one of well-known brands of noodle soup is located on Ly Quoc Su street. The noodle soup here has long been well-known thanks to its typical broth: fragrant with spices and not greasy. The recipe has been handed to next generations and made it reputation as today. 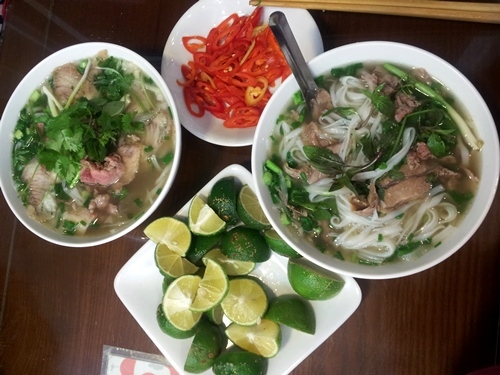 Especially, Ly Quoc Su noodle soup only majors in beef dishes in a wide range of kinds: rare beef phở, well- done beef phở, well-done flank, and fatty flank. A full bowl of beef noodle soup is served with crispy Chinese sticks and raw vegetables. The stores serve from 6am to 2 pm and 5:30pm to 10pm. A bowl of beef noodle soup costs VND 45,000-75,000. 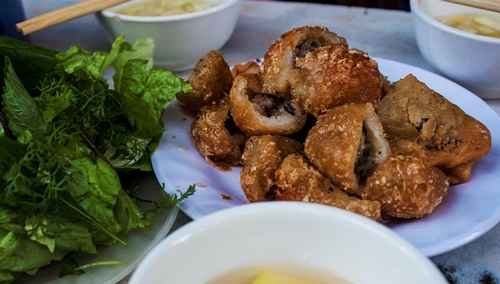 Gourmets in Hanoi are familiar to pillow- shaped cake at number 52 Ly Quoc Su, but the fried cake here is also tasty. The fried cake here is described with large size and typical yellow color. Right after customers order, shopkeepers quickly fry them until yellow. Well-done fried cakes will be left dry. Pillow- shaped cake with crispy crust is cut into small pieces. Its filling is good enough to keep flavors of mushroom and black mushroom. This dish is served with a bowl of fish sauce together with pickled green papaya and raw vegetables. 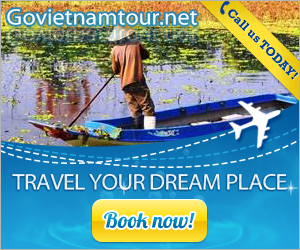 It costs VND 7,000/fried cake and VND 9,000/cake. 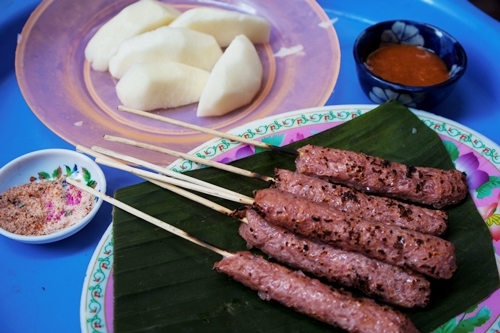 Several meters from Ly Quoc Su main street is a small alley which is famous for grilled fermented rolls. The dish is not fried, but grilled on charcoal stoves. After being well grilled, the dish retains sweetness, pink color and not greasy. The owner prepares it on banana leaf; served with bean roots. 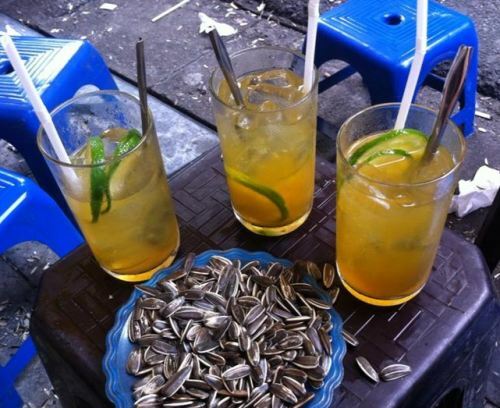 In Hanoi, mentioning to iced tea with lemon, people think about Church street surroundings and Ly Quoc Su street. It is easy to see crowded customers and young people gathering here, especially in weekend. 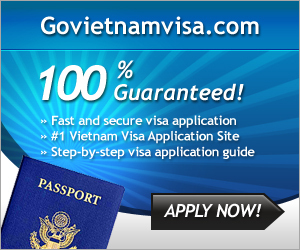 It costs from VND 10,000- 20,000/cup. Not as busy as Hang Duong street, Ly Quoc Su street has many stores of fruit beams, fruit jam with a variety of flavors and colors. It costs from VND 100,000- 200,000/kg.